As one of the prime movers in the early decades of film music and the composer responsibility for putting music to many films now regarded as classics, the music of Max Steiner deserves to be celebrated. That is exactly what this double album sets out to do and abundantly achieves. The opening track is devoted to the overture from "King Kong". Apart from the lyrical tune representing the film's love interest this piece is frequently deep, loud and earthy, its large-scale dramatics making it an ideal opener and taster for what is to come. 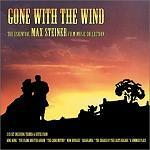 Giving the double album its name and closing it off in style, pride of place goes to one of Steiner's best-known films "Gone with the Wind" from which we can hear some 14 minutes of sumptuous music including the well-known "Tara's Theme". In between these we are treated to some hugely enjoyable music. With "The Adventures of Don Juan" and "The Flame and the Arrow", Steiner proves that he can handle the Swashbuckler style with a similar flair to his contemporary Erich Wolfgang Korngold. We also have representatives from Steiner's foray into the Western genre with "A Distant Trumpet", "The Hanging Tree" and "The Searchers", all just as evocative as the soundtracks of Elmer Bernstein or Dimitri Tiomkin. And we also have the more subtle, thoughtful and romantic moods of "Now Voyager", "Mildred Pierce" and "A Summer Place" to prove that Steiner could also challenge Alfred Newman. One particular track to look out for, which highlights the unique elements of Steiner's style is the overture to "Sergeant York" where Steiner's themes seem to come from a mixture of popular, jazz and folk music. Among all these exhibiting the broad range of the composer, we have the classic soundtrack from the classic film "Casablanca". Steiner didn't write the theme song "As Time Goes By" (Both words and music came from the pen of Herman Hupfield) but he weaves this tune into a tapestry which includes the French and German national anthems and some atmospheric Moroccan style music. This is another great value collection from Silva Records, featuring as ever faithful re-recordings by City of Prague Philharmonic Orchestra and for some tracks The Westminster Philharmonic Orchestra. The double CD can be found at these sites: Amazon.co.uk in the UK, and Amazon.com in the US.